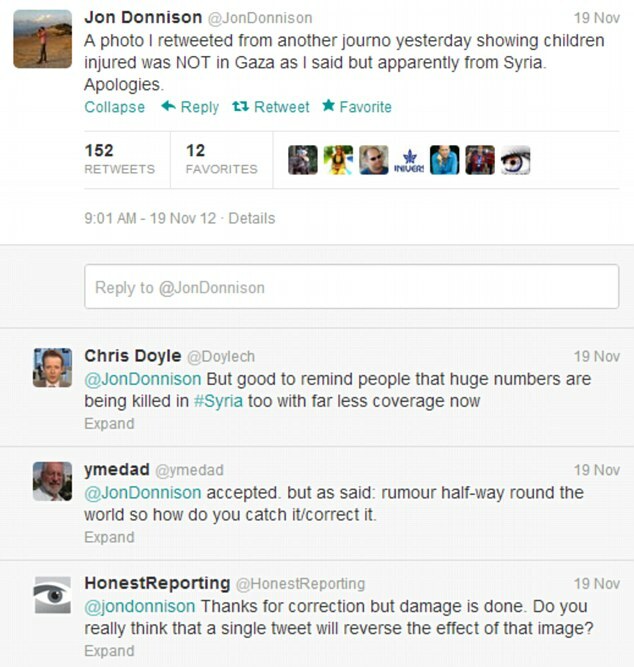 A BBC war reporter made a shocking blunder by tweeting a photograph of an injured child from Syria but indicating she was from Gaza. 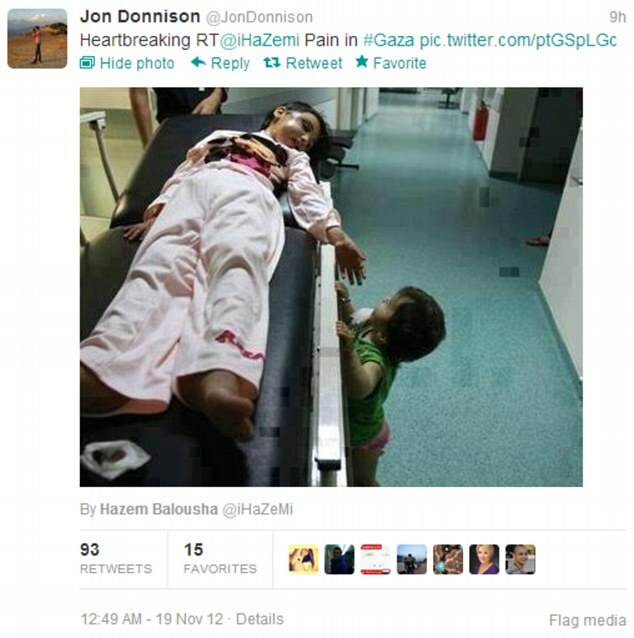 Gaza correspondent Jon Donnison added 'Heartbreaking' to the front of a message he retweeted from a Palestinian 'journalist and social activist' named Hazem Balousha. Balousha had posted a picture of a young girl lying on a hospital bed with bloodied clothes, along with the words 'Pain in #Gaza'. Donnison's tweet went out to his 7,971 followers on the social networking site and he was soon hit with a barrage of outraged responses highlighting the mistake. The website bbcwatch.org highlighted the error and wrote: 'Up to now, it may have been possible to put down Jon Donnison’s frequently problematic reporting to a lack of knowledge and understanding of the region. Is Hamas using human shields in Gaza? Putin's plane could be original target?